What can I say about the extended double crochet, except that it is a bit taller than the double crochet and a bit shorter than the triple crochet. It also has a nice solid base, which I prefer over the double or triple crochet. The fabric is gorgeous if worked in rows or in rounds. It drapes well too, making it great for afghans or shawls. And best of all, once you get going on it, it works up just as quick as the double crochet, and much quicker than the triple… at least from my experience. This technique can be used on any crochet stitch to make it a bit taller. 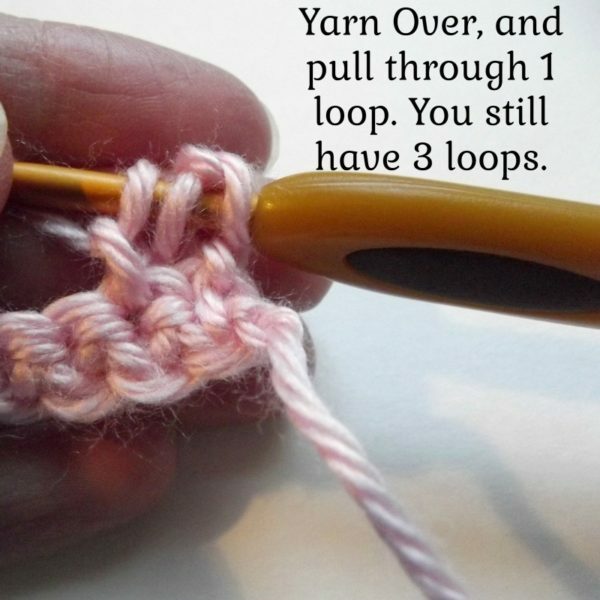 Here the same method is used in the Extended Single Crochet. 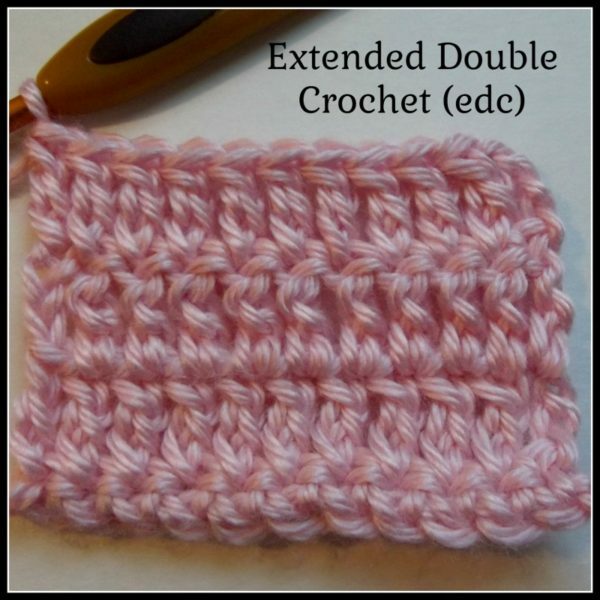 You can also use this on post stitches if you like, as shown in the Front Post Extended Double Crochet. Step 1: To make the EDC, wrap the yarn over the hook the same way as you would for a regular double crochet. 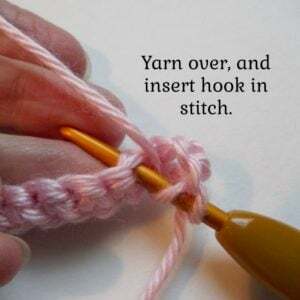 Then insert the hook into a stitch, chain or space. Step 2: Wrap the yarn over again and pull through. You now have 3 loops on the hook, exactly the same as a double crochet. Step 3: This is where you extend the stitch. Wrap the yarn over again, but pull it through only 1 loop on the hook. And you’re still left with 3 loops on the hook. Step 4: Now finish the stitch as you would a normal double crochet. 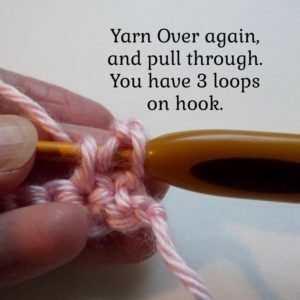 You yarn over and draw through 2 loops on hook. You have 2 loops left. 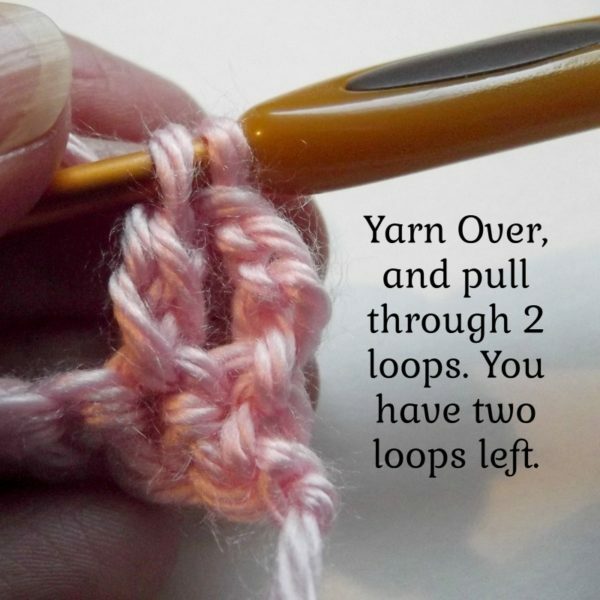 Step 5: Wrap the yarn again, and pull through the last 2 loops. The EDC is now complete. 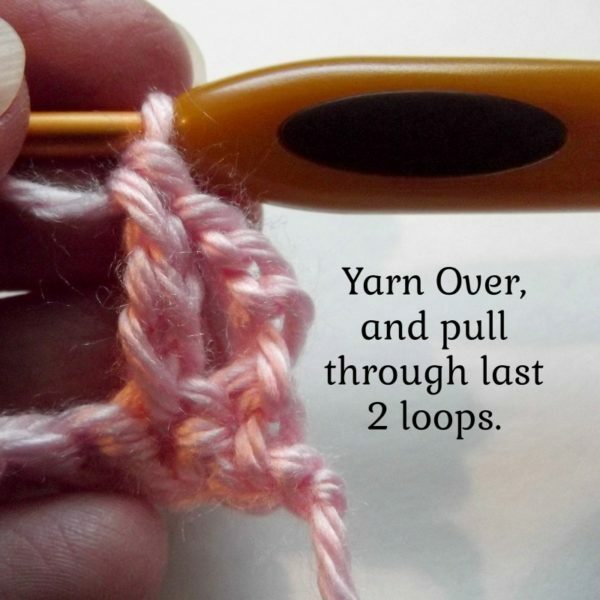 If you enjoyed this tutorial, you might also enjoy these crochet stitch tutorials on CPB. Awesome! Trebles often seem just a bit too tall when I’m designing things, so this looks like a great substitute! Thanks for the idea!